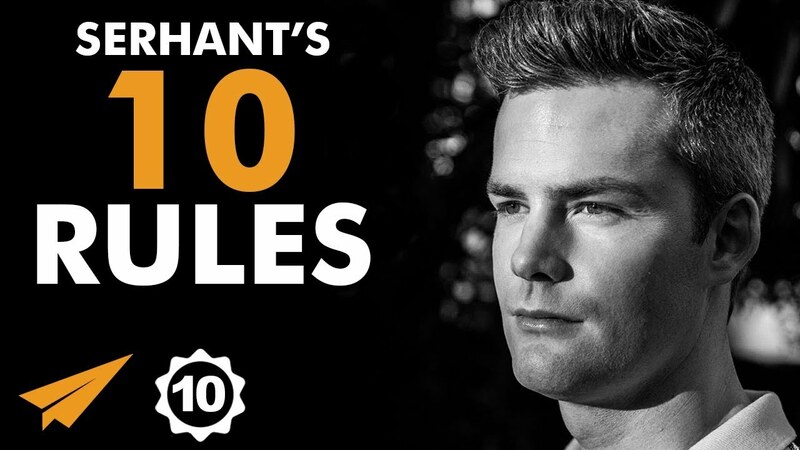 ✎ Ryan Serhant’s Top 10 Rules. Need motivation? Watch a Top 10 with Believe Nation! Grab a snack and chew on today’s lessons from a man who went from starting in real estate business in 2008 when the market crashed, to becoming one of the most successful real estate brokers in the world! He’s Ryan Serhant and here’s my take on his Top 10 Rules for Success! 1) What’s the first impression that you want to make with people? 2) How can you treat life more like grad school? 3) What opportunity in front of you do you need to seize right now? ✎ More about Ryan Serhant. He attended Hamilton College where he double majored in English Literature and Theatre. He began his first day in the real estate business on September 15, 2008. He moved to NYC to pursue a career in acting. His team at Nest Seekers International sold over $830 million in real estate in 2017 and was ranked the #1 sales team in NYC. Currently, TheSerhantTeam is ranked #1 for closed deals in Manhattan. He has appeared on CNN, CNBC, FOX, NBC, ABC, and CBS. He’s best known as the star of Bravo’s two-time Emmy-nominated “Million Dollar Listing New York”. He has a successful vlog on Youtube. He also produced and starred in his spinoff show “Sell It Like Serhant”. He’s an active supporter of nonprofit organizations including DKMS, Operation Smile, Save the Children, and Make A Wish.